Zippers! They have been the bane of my sewing for years. I dreaded them when I sewed garments, and I feared them when someone suggested making totes or bags. I like buying zippers from the quilt shops. They run about a dollar and can be cut to the right size. Always use a zipper with polyester teeth. This is so you can cut it to the length desired. The first thing I am going to do is cut the end of the zipper off. Then cut a piece of fabric about 1 1/2" by 4". This will be the tab at the ends of the zipper. Fold the 1 1/2" piece in half and then fold the two ends inside and press. Place the zipper inside the folded fabric and sew next to the open seam. Zip the zipper down and cut the other end off, one inch shorter than your bag. Add the folded fabric to this side and sew. Next place the zipper FACE DOWN onto your fabric. Sew the zipper, moving the zipper pull out of the way to give you as much room as possible under the foot. Now turn the zipper down unto the inside fabric and top stitch to hold it in place. Okay now do the same thing to the second piece of your bag. Line up the zipper with the top edge, sew and top stitch. And there you have it! Zippered up and ready to complete your bag! Just as an added side note. When you sew up the sides of your bag, be sure that your zipper is in the open position. That will allow you to turn the bag out to the right side. This is great and soo well done! I too have the fear of zippers! I think it's from all those years of making clothes in high school and college. Remember the invisible zippers? My roommate was the master of them and would put them in my garments. I will be saying your post! Thanks. Thank you so much for the step-by-step and picture tutorial!!! I have never done a zipper, and your post gives me the confidence to give it a try. I'm zipper phobic too, but you make it look easy! Will have to give it another try. Thanks for the concise directions! I've never tried a zipper like this, very interesting! Thanks for the great tute, I'm going to bookmark it for the future! Good on you for jumping in and doing the zipper. I've made a few bags lately and have been getting better at the zippers. Next I am going to try the ons where the zipper tape is cute to look lacy. Perfect timing on this post - I was going to do a search but look what was waiting in the linky party! I am now going to add you to my blog list. I am a wife, a mom and a quilter. I'm an avid reader, collector of fabric and tea cups. Please stop by and visit my Hospitality blog. "Love always protects, always trusts, always hopes, always perseveres. Love never fails." 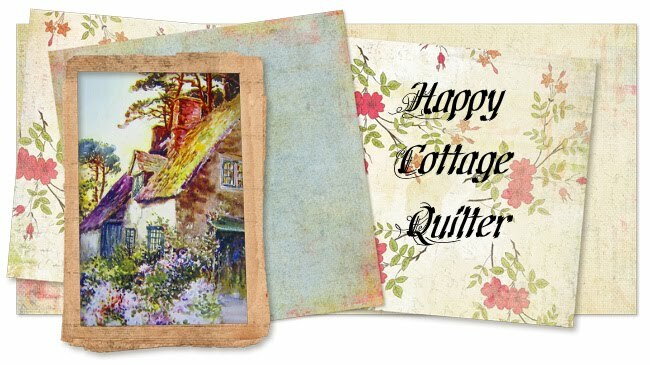 It’s not over till it’s over . . . .
Quilting Blogs - What are quilters blogging about today? Please not use any written content or personal photos from this blog without my written permission. The content on these pages (text and images), are the sole property of the author, and may not be reproduced in any manner without consent. Thank you for stopping by! Your visits and comments are always welcomed and appreciated. Happy Quilting!